I've had an interest in art since I was young, and a big part of the reason was my artist parents. It is a blessing to have affectionate parents who always showed delicate and wise ways of self-expression. I believe everything can inspire me in many ways. You attended the Yale University Norfolk Summer School of Art program. What was the selection process like? The Yale program is highly competitive, and they only select 26 students each year internationally. That prestigious reputation was a big pressure during the application process. How did you feel when you found out you were accepted? Even though I was confident in my work, I could not believe I was selected to attend the program and receive the scholarship. 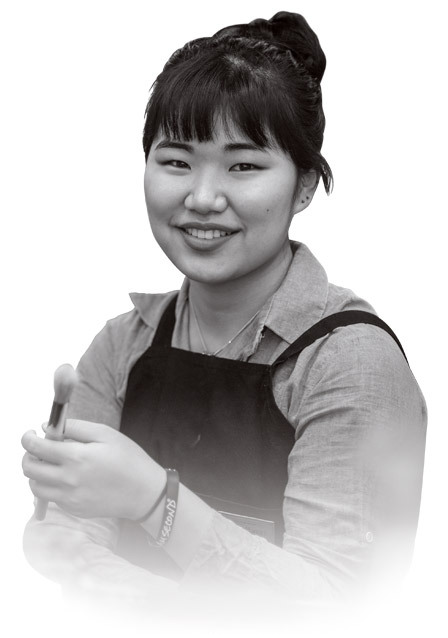 You're originally from South Korea but came to Arlington to study abroad as a high school freshman. What was that adjustment like? Did Arlington surprise you? Studying abroad in America alone was and is always hard. Encountering and overcoming the language barrier were the hardest since I did not learn English before I came to America, unlike many other international students. Arlington in particular did not surprise me, but America in general astounded me in cultural ways. It was and is a valuable experience to communicate with various different cultures in one country. What's next for you after you graduate? I am planning on going to graduate school. How is UTA helping support your future plans? Faculty members are very supportive of me as a growing artist. Do you think creativity is exclusive to artists? In other words, can anyone be creative? In my personal opinion, anyone can be creative, but not many can actually execute and use their creativity to change something typical to something new. Just for fun, what's your favorite color? I value every color that exists on this earth. Take a peek at future changes, and find ways you can engage with UTA today.